As 2017 winds down, we can once again celebrate a year of gains in the Tallahassee real estate market. 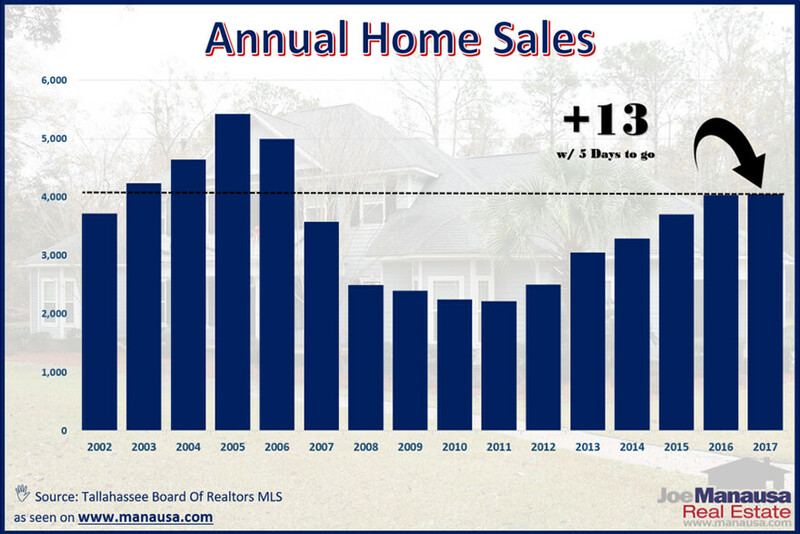 The graph above was assembled last Friday, and it shows that Tallahassee has closed more home sales this year than in any previous year going back to 2006 and will likely end up being among the top four years ever. The inventory of homes for sale in Tallahassee continues to decline, and this has created an environment for significant appreciation in home values. The following graph compares the average number of listings over the past year to the average number of homes sold during that time, and reveals a shortage of homes. The graph above measures the "relative supply of homes," which is merely the total supply of homes relative to the current rate of demand and expressed in "months of supply." The magic number we're looking for here is 6.0, which is the level in which sellers and buyers are on equal footing in the market. When the relative supply of homes exceeds 6 months, we refer to this as a buyers' market. The opposite is true when relative supply goes below 6, and we call it a sellers' market. The relative supply trend is at 4.3 months of supply, which is a VERY strong sellers' market. This means there are more buyers than there are sellers, and we're going to see continued growth in prices until the market balances out. Normally, this situation would call for builders to bring more homes to the market. Supply and demand dictate the movement of home prices in any housing market, but cost determines what you are going to have to spend for new construction. The housing bubble caused existing home values to decline more than 30%, but that doesn't mean it drove down the cost to build new homes. We are now in an interesting situation, where the demand for housing is great, but the ability to produce more supply is being hampered by the cost of construction. Minimum wage is up 45% since the peak of the housing market, and when combined with the skyrocketing cost to develop in Leon County, the cost to produce new homes has moved significantly higher. The graph above shows that the twenty years from 1991 through 2009, new construction represented 21% of all home sales in Tallahassee. But since 2010, it has been less than 10%. Why should we be surprised that inventory now is so low? 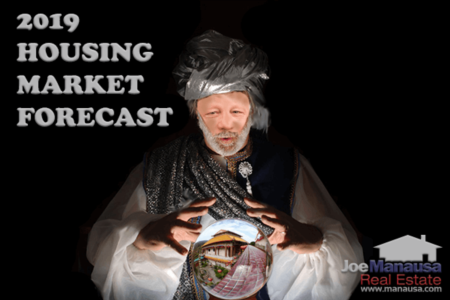 The housing market in Tallahassee is going to change, and it will follow patterns that we can observe from other markets that have already faced the challanges in front of Tallahassee today. Land costs are on the rise. Construction costs are on the rise. So where do the the opportunities lie? The graph above shows that single family detached home prices have moved higher than where we would expect them based upon rate of growth seen in the 1990s. But when we plot out the same expectation for attached homes (condominiums and townhouses), we see that their average prices are still lower than the expected growth trend. What this means for buyers today is that attached units are under-valued. We know that land costs and building costs are impacting attached units as well, and as inventory for condos and townhomes balances in Tallahassee, expect rapid appreciation rates to ensue. Builders need to get comfortable with attached housing, and they should be looking at larger metropolitan areas around the US to get ideas for new attached housing product lines to bring to Tallahassee. Attached housing reduces the effective cost of land and development (more units per acre), and thus allows new construction to hit the price points where most Tallahasseeans are buying. Attached housing is the future of new construction in Tallahassee, whether condomiumns, townhouses, or apartment complexes. How do we know this? Because that's what has happened in all other large metropolitan areas when they began to run out of supply of land in the area serviced by the City and/or County. Real estate market cycles in Tallahassee are heavily influenced by State politics. When Democrats win elections, they and their staffs move in (and we see Republicans and their staffs move out). The opposite is true of course too. The next Governor of Florida is going to bring significant staff changes to Tallahassee in 2019, and this will bring both sellers and buyers to the Tallahassee housing market. 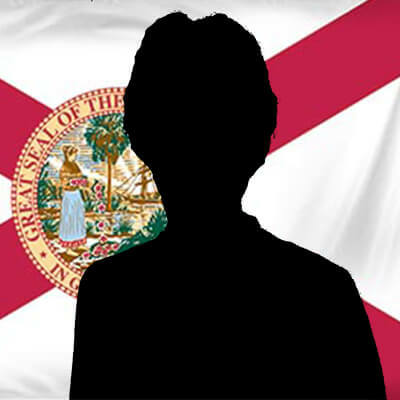 I also believe that our current Governor has made Florida one of the most (of not THE most) efficient States in the Union in terms of the number of State employees per capita, so common sense would dictate that the next Governor is likely to reverse this trend to some degree. Any growth in the number of State employees is HIGHLY likely to bring new jobs to Tallahassee, and this too would increase demand for housing. Remember, we are now at demand levels consistent with pre-bubble times in the late 1990s and early 2000s, so there remains upside potential in demand. Our population is larger than it was when these numbers were reached in the past, so it is not crazy to assume we'll see home sales rise presently and into the future. Inventory (supply) is the main variable that will determine the level of growth in the Tallahassee real estate market in 2018. My conversations with builders make me believe that many are going to miss-out on the party because they still remember the crash of 2006 and the irrational exuberance that lead to the over-building of homes in Tallahassee. Their lack of caution then is resulting in an equal and opposite case of too-much restraint now. Builders SHOULD regularly monitor the relationship between supply and demand and take advantage of a healthy market that is begging for more homes in many price ranges (see most recent supply and demand report here). By monitoring supply and demand reports, it will become evident when the market is shifting away from scarcity, thus then builders can slow or stop their construction to respond to market conditions. 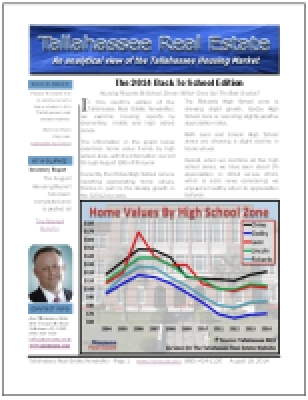 Based upon current inventories and Tallahassee's ability to gear up to meet demand, it is highly likely that home values will move to new highs in 2018 or 2019 everywhere expect possibly the SW quadrant of Tallahassee. If you would like to know more about the Tallahassee real estate market and how it impacts your personal or professional situation, simply give us a call at (850) 366-8917 or drop us a note and let us know how we can help. 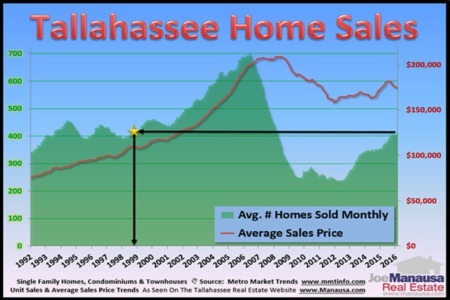 Tallahassee Real Estate Sales: Now Versus 1998, What Has Changed?